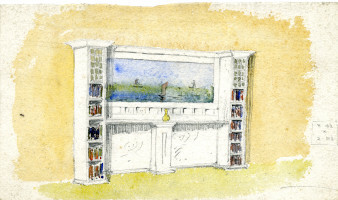 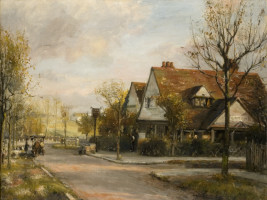 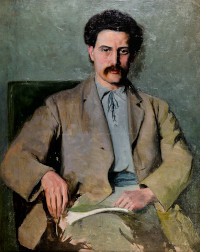 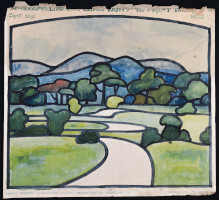 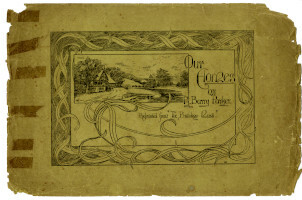 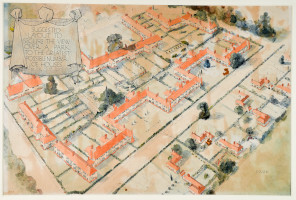 Through this theme you can explore highlights from our historical collection which tell the story of the life and work of Barry Parker (1867-1947), architect of the world’s first Garden City, town planner and a key figure in the Arts & Crafts movement. 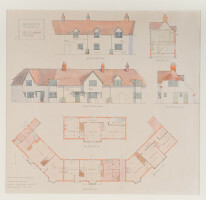 These key items featured in our exhibition Barry Parker: Architecture for All, and were displayed at the Broadway Gallery and International Garden Cities Exhibition, both located in Letchworth Garden City in 2018. 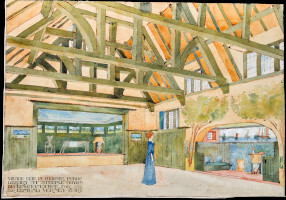 There are a further 4,500 objects in the Parker Collection, for you to discover yourself via this website, including architectural plans and drawings, photographs, furniture and fine art. 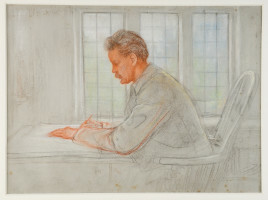 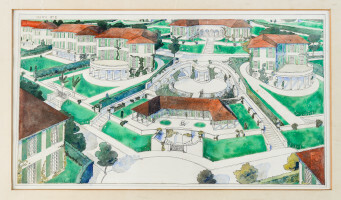 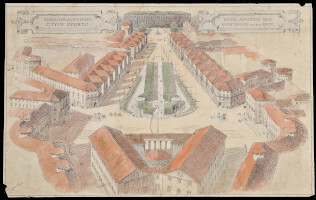 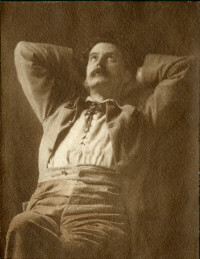 Barry Parker, along with his business partner, Raymond Unwin, created the template for the Garden Cities model around the world, but Parker’s influence on architecture globally is less well known. 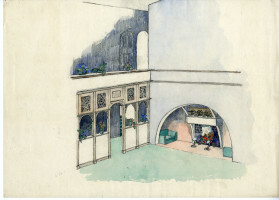 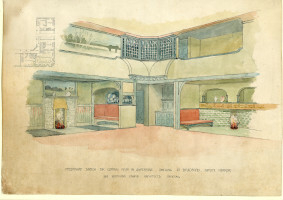 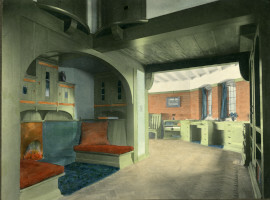 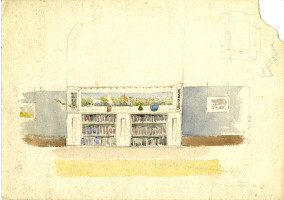 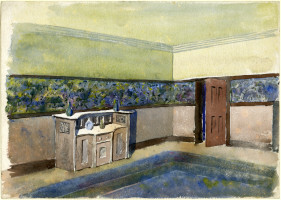 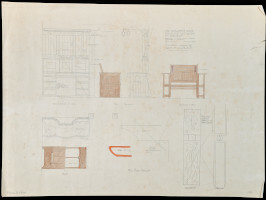 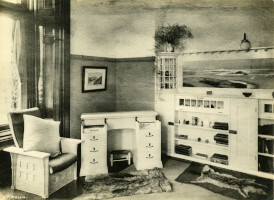 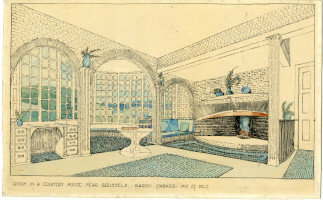 Parker believed passionately that architecture and thoughtful planning of community spaces could change lives – these items chosen for display reflect his ideology of equality, of utilising sunlight and his harmonious approach to design, confirming Parker’s status as one of the most important British architects of the twentieth century. 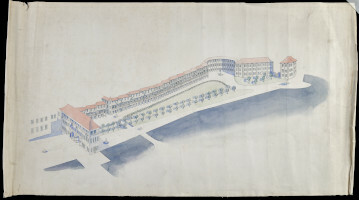 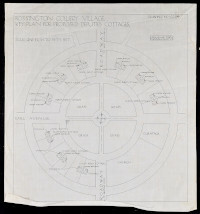 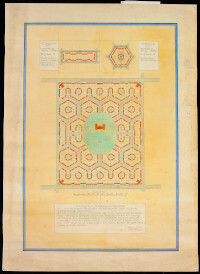 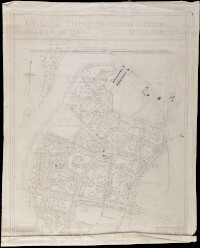 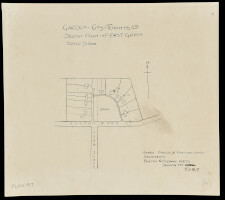 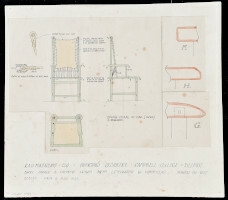 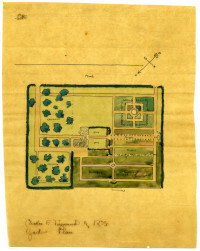 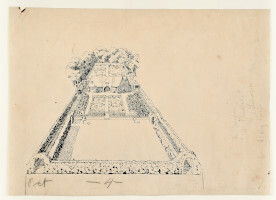 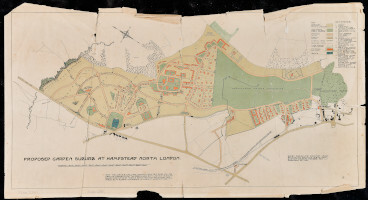 The First Garden City -Plan of Estate and Proposed Town. 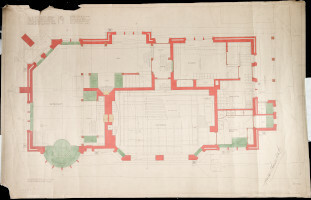 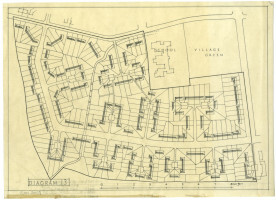 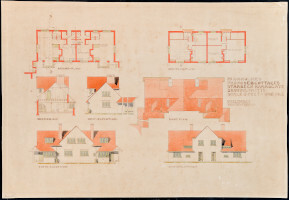 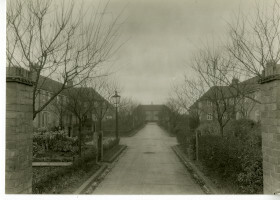 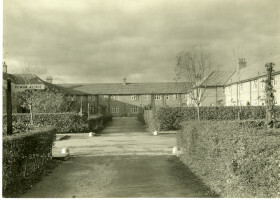 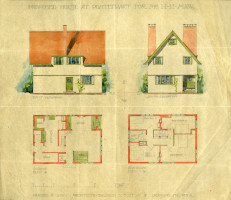 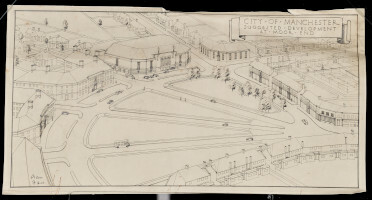 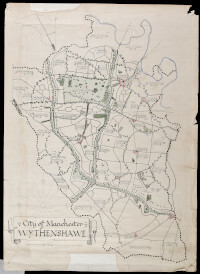 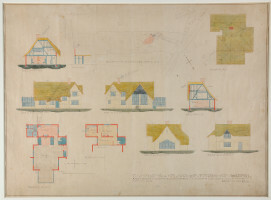 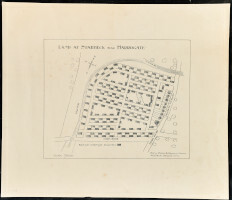 Plan of development at Moor End, Wythenshawe. 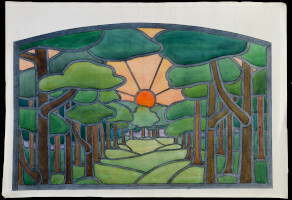 Stained glass design, for Glaed Hame, in Letchworth.